Did Jurassic Park Rampage Edition have a hard case release as well? I feel like I've seen a legit release of this but can't find any pics. Not that I have ever seen, my guess is that someone cut the cardboard to fit a clamshell, or printed their own artwork. 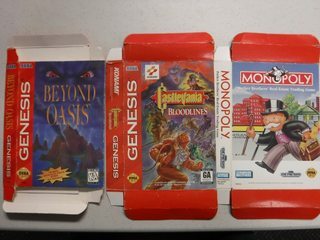 I noticed neither cardboard list have the flip-top variant of Beyond Oasis. This is definitely a case of pics or it didn't happen. Yep. I thought it was something that someone overlooked when constructing the list. It looks legit. Damn it, I've been away from this too long. I'm going to have to sift through PM's and see if I have the ability to edit it. 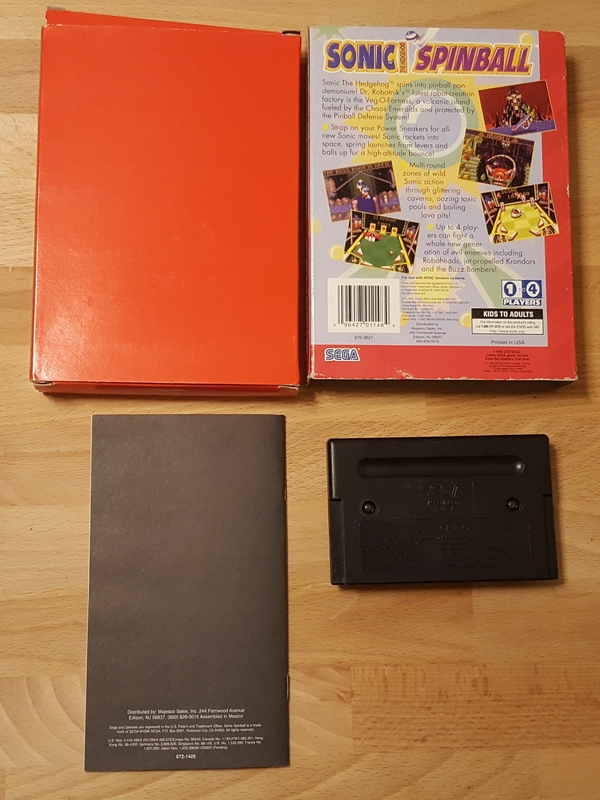 Regarding the manual, Sonic Spinball has three manuals, two of which are black and white. The black and white manual from the cardboard release is of noticeably lower quality than the black and white manual that came with the ESRB clamshell release. 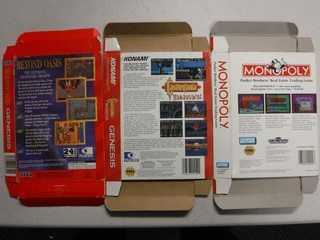 And you think your manual is the same as the one from the cardboard fliptop? You made the comment "there's actually a variant on those" - you mean that for the Sonic Spinball fliptop that there are two different releases? Also quite cool. Pretty neat to see that other sealed one with Assembled in Mexico stamped on. Theres no residue from a sticker or any indication one was ever there but you may be right. The manual for the esrb release doesnt say distributed by majesco on it so I know this one is different. Im assuming its the same as the fliptop version but i dont own that to check. 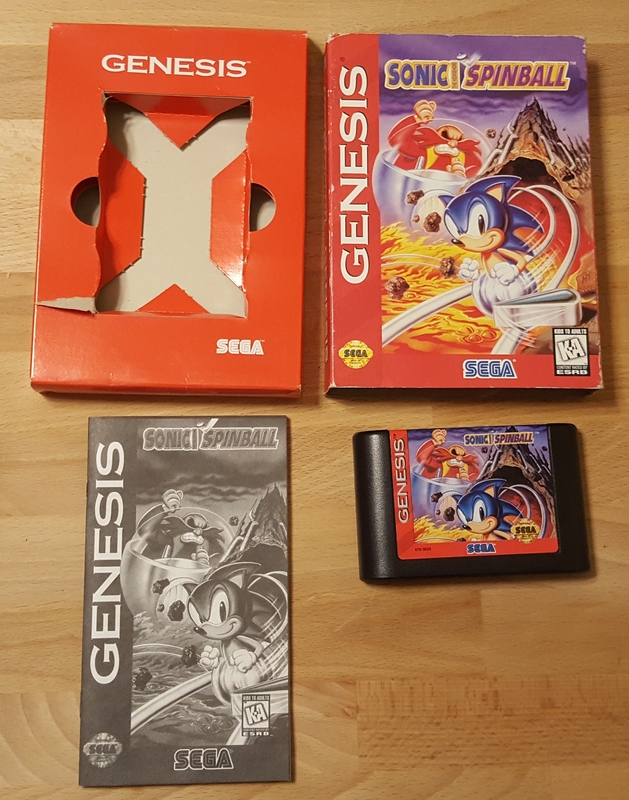 My sonic 2 has a hangtab. FYI my Sonic 2 has no hangtab. I do see the "Distributed by Majesco" on the back of the manual pictured in your post. Yeah, so it appears that both cardboard releases would have the same manual, which you said in your first post. I suspect it has just been torn off. Would you be able to post pictures? Sure, I will when I get off work. I was actually expecting a hang tab because the only one I saw online had one, but then mine didn't, and it really didn't look like it had ever been torn or cut off. But we'll see on closer inspection. Sorry. I was mistaken -- It does have a hangtab after all. Well, at least we don't have to worry about a variant. 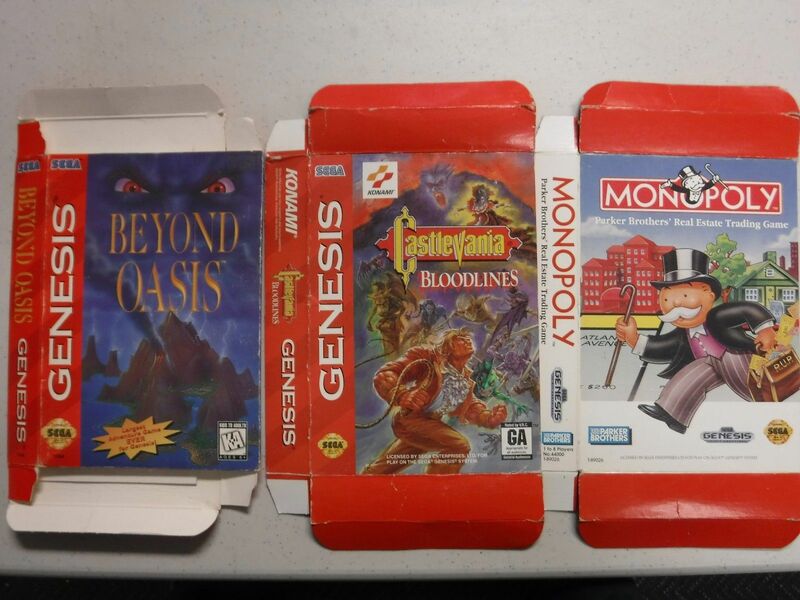 Here's a pic of all my cardboard boxes, not sure if any of these are of use for you guys. I can take close-ups of any that may help this project. Glad to see this project still trucking along!